Her husband – who has not been named – never suspected anything was wrong and was becoming increasingly excited at the prospect of becoming a father for the first time, according to reports. Padilla was caught out on Saturday, when she should have been undergoing a cesarean section at the local hospital. Instead of going to hospital, she claimed she had been kidnapped by a gang who had bundled her into a red van and drugged her. She called her husband and family that evening saying she had woken up at 7pm outside a supermarket in another part of town and realised ‘the baby was no longer in her womb’. She reportedly said the baby had been removed by an organ trafficking gang in order to sell the infant’s body parts. Worried about her health, her family took her against her will to the local Nino Jesus de Soledad hospital, where shocked medics called police, who launched a massive operation to track down the alleged kidnappers. But officers quickly began to doubt the woman’s story when a hospital evaluation found she had suffered no knife injuries consistent with a ‘back street caesarean’. A further blood test found she had never been pregnant, and found no traces of any sedatives in her body. Padilla reportedly fled the hospital at 3am on Sunday morning, two hours after blood tests confirmed she had not been pregnant, and her whereabouts are still unknown. 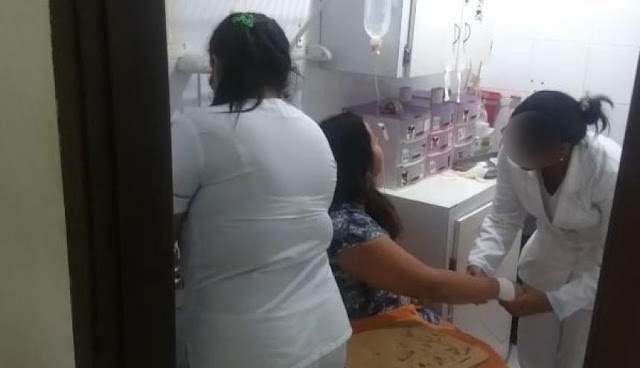 She added that her son, Padilla’s husband, never went with her for her pre-natal check-ups and preferred to wait for her at the entrance to the hospital. She said: ‘She had a belly, it was small, but it never raised suspicions. My son lived with her, they slept together. But he never touched her belly or tried to bond with the baby. ‘We never suspected anything because although her belly was small, some pregnant women don’t have big bellies so we didn’t think anything was strange. 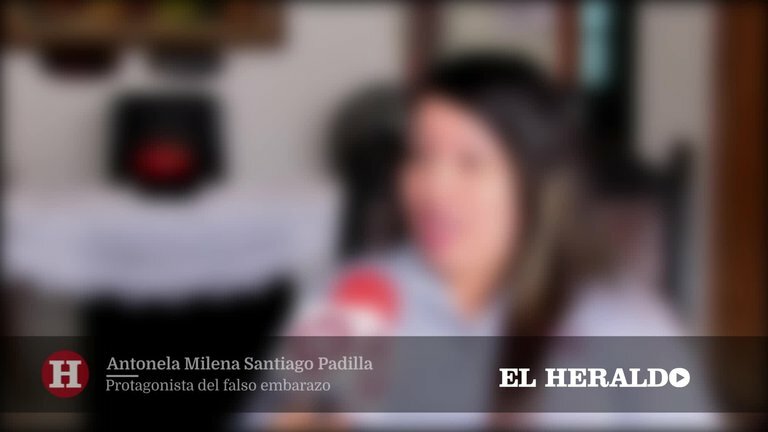 Police commander Mariano Cotero Coy said yesterday that an investigation had been launched and Ms Padilla had been called to provide a declaration. He said she could be charged with wasting public resources. ‘In the hospital, we see people lying down in queues, from 5am waiting for an appointment, and this lady feigning her pregnancy meant that she was attended to before others who really needed it,’ Mr Coy said.